In the Autumn 2008 edition of the magazine ‘Beautiful Britain’ there is an excellent article by the author Jock McKinnon called ‘The Old Frontier’. 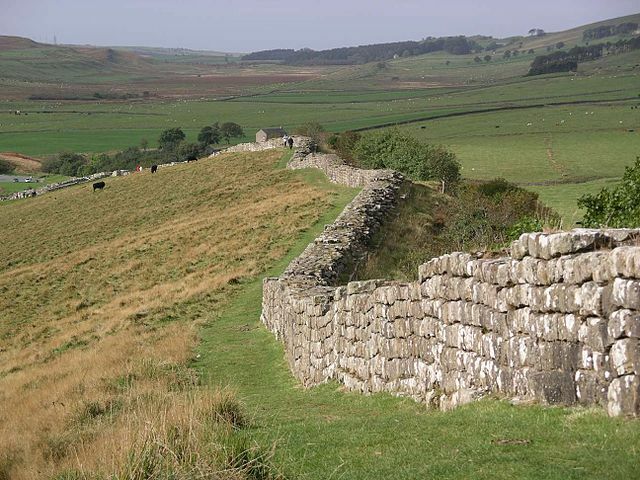 In this article the author tours Hadrian’s Wall, the ancient Roman frontier that stretches from the Tyne in the east to the Solway Firth in the west, a distance of 80 Roman miles (73 normal British miles! ), and he uncovers the history behind the Roman wall and its stones. Here I have “quoted” in full the article which appears in the magazine. 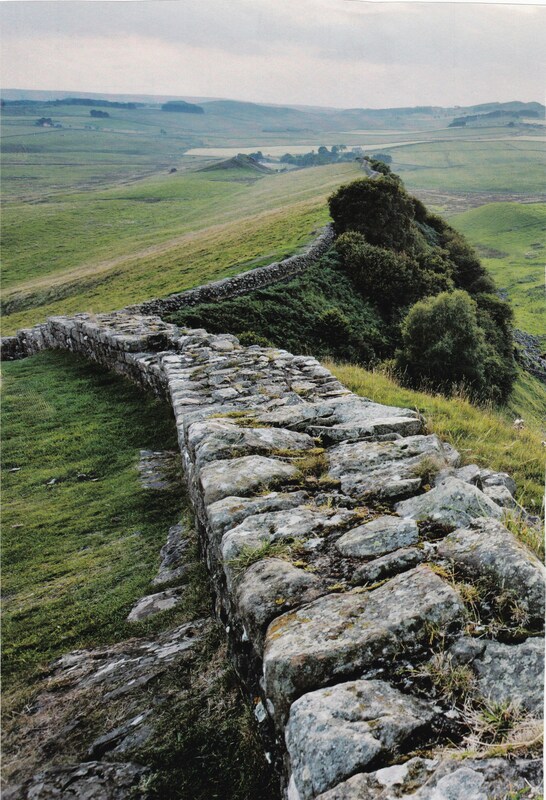 Hadrian’s Wall (Latin: Vallum Aelium), also called the Roman Wall, Picts’ Wall, or Vallum Hadriani, was a defensive fortification in the Roman province of Britannia, according to Wikipedia. McKinnon, Jock., The Old Frontier, Beautiful Britain, Vol 3 Number 3 Autumn 2008, Cheltenham, Gloucestershire, 2008. 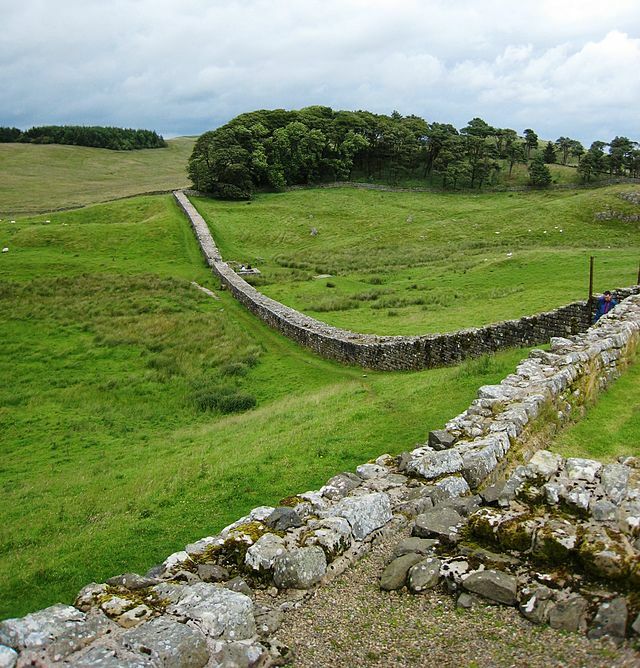 Categories: Misc Subjects, Roman Sites | Tags: Hadrian's Wall in Scotland's borders, The Old Frontier (Hadrian's Wall) in the Scottish borders | Permalink. We do not know what the Roman’s called the Wall. However in 2003 a metal detectorist found what he initially thought was a coke can but what is now called the Staffordshire Moorlands Ilam Pan. The find was an enamelled bronze dish with a Celtic pattern and Latin inscription. The dish is not a ‘pan’ in the modern sense but a drinking vessel where wine etc. could be shared on special occasions. The dish may have been a retirement gift to a soldier who served on the wall and later settled in Britain. Specifically the inscription says ‘rigore vali aeli’ that is ‘ on the line of the Aelian Rampart’. ‘Aeli’ is the family name of the Emperor Hadrian. So it is possible the Romans called it the ‘Aelian Wall’ not far from what we call it today. When it came up for sale three museums bought it for the nation the Potteries Museum in Stoke on Trent, the Tullie House Museum in Carlisle and the British Museum in London. BarryS. Thankyou for that information BarryS. I Think the other names for the wall come to us from more recent times, long after the Romans departed, for instance it was often called ‘The Pictish Wall’. But interesting facts here.